Typhoons are devastating. It could even lead to death as there were tolls after its strike. What can we do to stop a typhoon from coming? The answer is none but we can have measures to do ourselves to prepare from its devastation. Read and watch the news. The news is the main source of information about how fast it is moving, how strong would be the wind, and how heavy would be the rainfall. All the details that you need to know are in the news so pay attention to them. Stock enough foods to eat. There are chances when during the typhoon you cannot get out anymore to buy foods. The logic is simple: no one will open their stores while the typhoon is there. It is advisable to stock enough foods for your family while the typhoon is at large. Prepare lighting materials. Flashlights are important during this moment. You cannot freely move inside a house that is dark. Make sure that you have with you enough spare batteries in case the one used fades. Secure important documents in safe place. There are documents that you cannot afford to lose such as birth certificate and others and you have to store them in places free from flood and rain. When the power is out, turn off your circuit breaker. This will avoid any electrical circuit problems when there is a very unpredictable on and off of it. 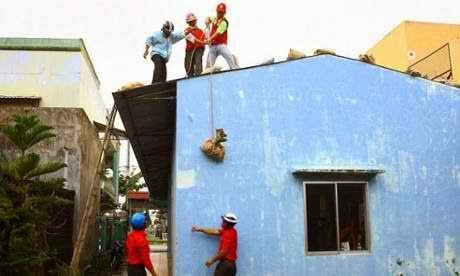 It pays to be prepared before typhoon comes because your moves are limited when it is already here.